Within the modern Western lifestyle increasing conflict is becoming apparent between that patchwork of isolated points such as the home or the office, which are linked by a mechanical system of transportation and communication devices, and a growing sense of homelessness and isolation. This work, first published in 1979, adopts a phenomenological perspective illustrating that this malaise may have partial roots in the deepening rupture between people and place. Whereas the problems of terrestrial space may have been overcome technologically and economically, it has been less successful regarding people. Experience indicates that people become bound to locality, and the quality of their life is thus reduced if these bonds are disrupted or broken in any way. The relationship between community and place is investigated, as is the opportunity for improving the environment, both from a human and an ecological perspective. 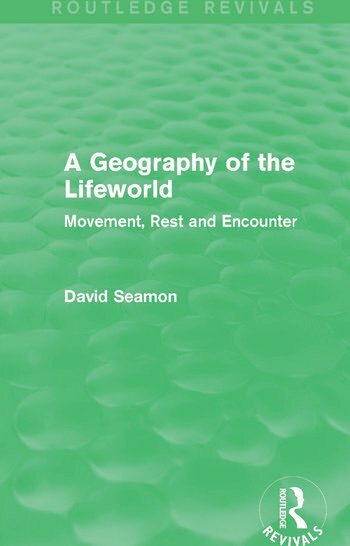 This book will be of interest to students of human geography.